While the first half of the film owes a lot to Close Encounters of the Third Time, the second half is more 2001: A Space Odyssey; the opening line from the ship robot, TARS, for example, making more than a wink and a nod towards 2001‘s HAL. Where it differs to these two films thematically, is that the protagonist is less interested in discovery for discovery’s sake, but rather because the future of his children is on the line. This motivation is what allows the film stay afloat when it’s dealing with complex scientific concepts like relativity and multi-dimensional space. The film itself feels like a love letter to space exploration, and the human need for discovery. While the plot requires the characters to go and explore other solar systems and the planets they contain, there is the sense of real excitement when as viewers we get to see these uninhabited planets for the first time. So far no human has ever set foot on another planet, but it’s cool to consider the possibility that this is a film that could inspire the next generation of astronauts to do precisely that. 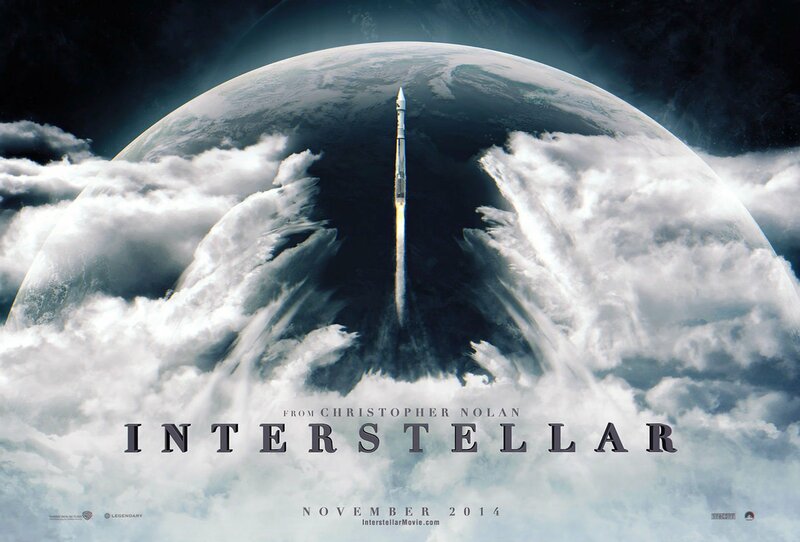 Interstellar then is a film of possibilities. And perhaps that is the reason why science and fiction are familiar bedfellows. As we delve deeper into the world of relativity and multi-dimensional space; and as we imagine the possibilities these concepts allow for, we are inspired to think big, imagine big, and ultimately perhaps discover big as well. It is for this reason it’s probably my favourite of his films to date. This entry was posted in 2001: A Space Odyssey, Christopher Nolan, Close Encounters of the Third Kind, Interstellar, movie, science fiction, watching. Bookmark the permalink. If you want my opinion, don’t bother with Guardians of the Galaxy (my review here: https://observealot.wordpress.com/2014/08/08/what-ive-been-watching-guardians-of-the-galaxy/ ) and make sure you see Interstellar on the big screen while you can.